It’s that time again for planting your favorite flowers and vegetable gardens – and the season for weeds to pop up quickly everywhere. Include yard work into your exercise program this season. Stay hydrated with refreshing Matcha iced green tea. Digging and hoeing can affect the body with inflammation, making your muscles sore. If you suffer from joint pain and inflammation, gardening could likely cause more discomfort. Disclosure: This post contains Amazon affiliate links which means if you click on it and make a purchase, I make a commission. This doesn’t cost you anything additional. These commissions help to keep the rest of my content free, so thank you! Studies suggest that green tea has health benefits, and antioxidants in green tea may help reduce or prevent some of the damage that free radicals cause. Drinking nutritious Matcha green tea could help you feel refreshed after tedious gardening in addition to keeping you hydrated. However, caffeinated or green tea can interfere with certain medications. Check with your health care provider before drinking green tea if you take medications. Use a trimmer/edger instead of a stirrup hoe. If you don’t have a weedeater, now is the time to get one – at the beginning of spring. Tall weeds are much easier to cut with a trimmer/edger than using a Hula hoe. Set the timer on your cell phone (be sure to keep it in your pocket while gardening) for an hour. When the timer goes off, that’s your cue to take a green tea or water break. Sit in the shade for fifteen to twenty minutes while enjoying the beverage. If you need to shorten the yard work time, do your gardening for thirty or forty-five minutes at a time. Don’t overdo it, or you’ll pay for it later. Stagger gardening tasks. Weed eat for an hour, take a fifteen-minute break, then plant seeds in flower pots next. This way, you won’t be in the same position for hours. Garden an hour or two every other day or three days a week instead of overworking yourself all day for several hours. What’s all the Matcha green tea buzz all about? Green tea has become quite popular for its healthy nutrition value found in the antioxidant EGCG. EGCG is a polyphenol, an antioxidant that fights free radicals. They can damage cells and contribute to aging and diseases. Black tea is oxidized, and green tea is not. Green tea is made from tea leaves that are harvested, steamed, and dried. Stems are removed, and the leaves are aged for a few months then later ground into a fine powder. Green tea is made from tea leaves that are simply steamed and dried soon after harvest. Matcha tea has three times the caffeine that black tea has. 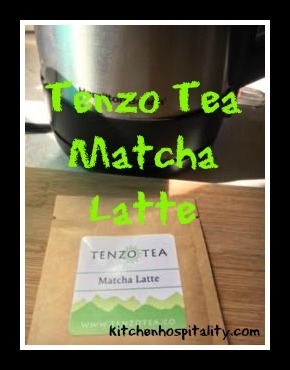 Disclosure: Matcha green tea referred to in this post is a courtesy of Tenzo Tea. I recommend Matcha green tea by Tenzo Tea because it is a product I enjoy. Although the product was a gift, all opinions in this review remain my own. I was in no way influenced by the company, nor am I receiving a commission by writing this blog post. Tenzotea’s blueberry and raspberry varieties are wonderfully flavorful. Plug in an electric water kettle and your hot water is ready to blend with green tea powder quickly. Matcha can be served hot or over ice, in a latte, or mixed into juices, smoothies, pancakes, or cookies. Daily I drink nutritional shakes, so I love the fact that you can make smoothies with the green tea powder. One thing I’ve noticed is I can’t drink the green tea late in the evening, or I won’t sleep – all that caffeine. However, some folks can go right to sleep after drinking coffee or caffeinated tea. Enjoying a cup of hot Matcha Blueberry or Raspberry after working out with a DVD or at the gym can be quite soothing. But if I work out in the evening with my 21-Day Fix DVD program, often I have hot noncaffeinated herbal tea like a honey lavender flavor. Ready to try out Matcha green tea? There is an art to it apparently. The proper way to mix the green tea powder in hot water is to use a chasen, a bamboo whisk. You can first mix it with a spoon to see how you like the tea. Then purchase the whisk to get a more bubbly or frothy effect. According to reviews on the chasen, you’ll not want to go back to stirring Matcha with a spoon. I like to begin my day with a cup of macha green tea, but I have never tried that brand. Have you tried blueberry or raspberry Matcha green tea? They are some of the best green tea, if not the best, I’ve ever had.